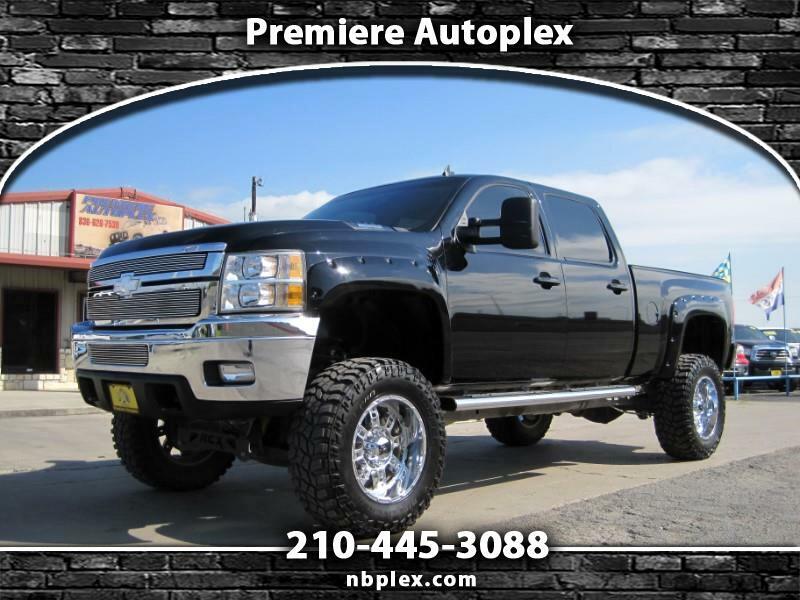 2013 Chevrolet 2500HD Crew Cab SWB, LTZ, 6.6L Duramax Turbo Diesel, 4x4, Automatic, Loaded, Leather, Running Boards, 9" Lift, Bilstein reservoir shocks, Chrome XD 20" Wheels, 37" Cooper Discoverer STT Mud Terrains, Color Matched pocket flares, Roll Lock Cover, Bed Slider, Tow pkg with factory brake controller and exhaust brake, Tow Mirrors, New all weather rough country mats front and rear, Navigation, Sunroof, DVD, Back Up Camera, Steering Wheel Controls, Dual Climate Control, A/C and heated memory bucket seats, Super Nice and Very Clean, Recently serviced. Ready to go with only 78k miles ! !